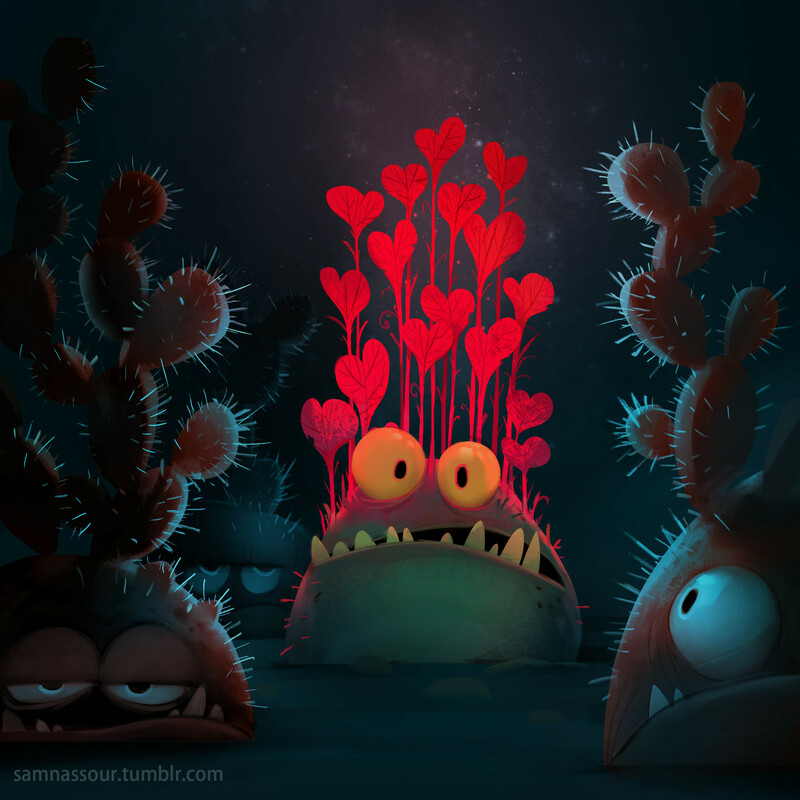 Sam Nassour works in the animation and games industry as an Art Director and Visual Development artist based in Dubai. His whimsical and lively artwork pops in the minimalist ArtStation Pro Insta Theme. 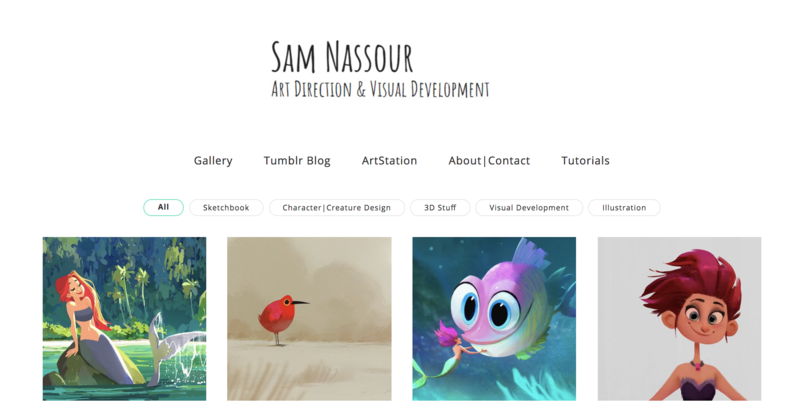 Check out Sam’s ArtStation-powered portfolio. When did you know you wanted to pursue a career as an artist? I always loved drawing growing up. I had this big fascination with TV cartoon shows and Disney films and really loved reading European comics like Asterix, Tin Tin and others. I started creating my own characters and making short comics around them in my early teens, and it became clear to me that designing characters and worlds and telling stories is something I would love to do as a career. Tell us about one of your favorite pieces. Hmm I don’t have a specific favorite, but I like the ones that include characters in a narrative scene. I would pick “Harvest of the Blueberry Muffins”, it’s one of those silly ideas that I had where muffins are actually planted as seeds and harvested by some little furry creatures…Go figure! I think many things around us that might seem pretty ordinary can be really fascinating if we take a moment to observe them closely. I’m very inspired by nature and the amazing variety of shapes and colors in animals and plants. I also find a big source of inspiration in traveling and discovering different cultures, landscapes and architecture. 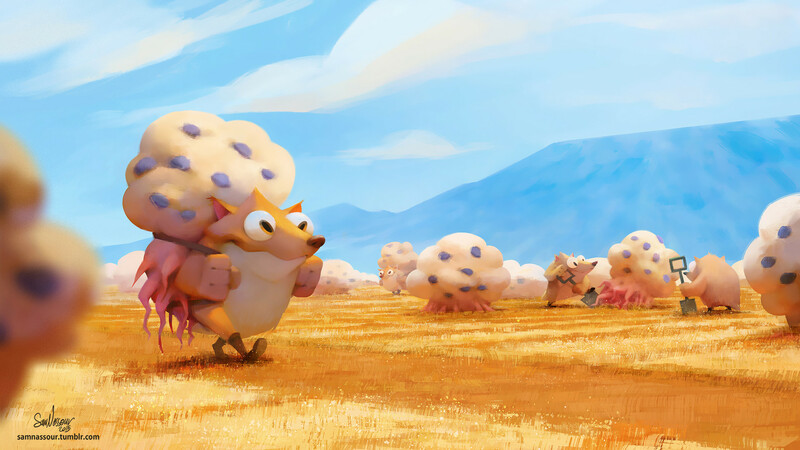 And of course, in watching animation films and browsing through ArtStation – it’s always very inspiring to see amazing art from so many talented individuals around the world. What is the best art advice you’ve ever received? I’ve got a few that I keep in mind: I learned that idea comes first; focus on the concept and composition before painting and adding any details. Make sure the image you’re creating reads clearly and quickly. Start loose and keep your sketching quick and energetic- try to see the bigger picture and solve design problems at the rough stage. Find your own voice as an artist: make sure you’re being authentic in your work and let your personal touch and style show in it. 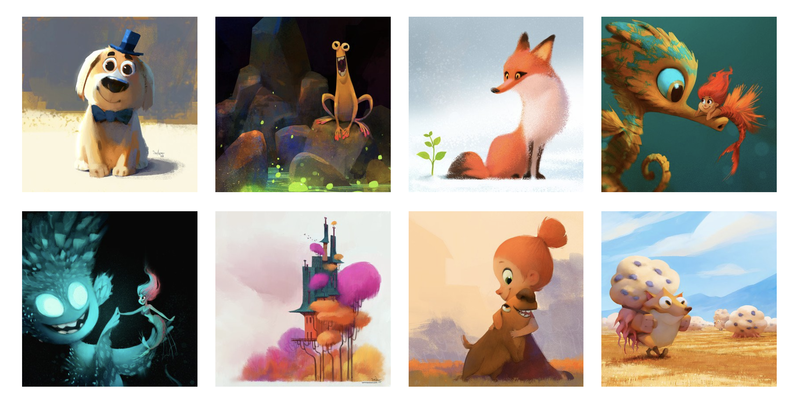 See more of Sam’s work on his portfolio website. To learn more about ArtStation Pro websites, click here.